3. 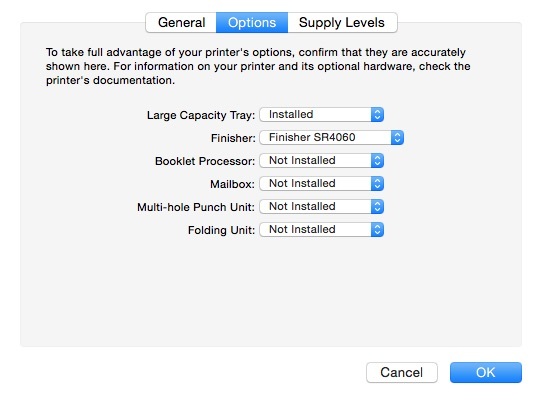 Select the Options tab and select the installed options from the appropriate dropdown menu. 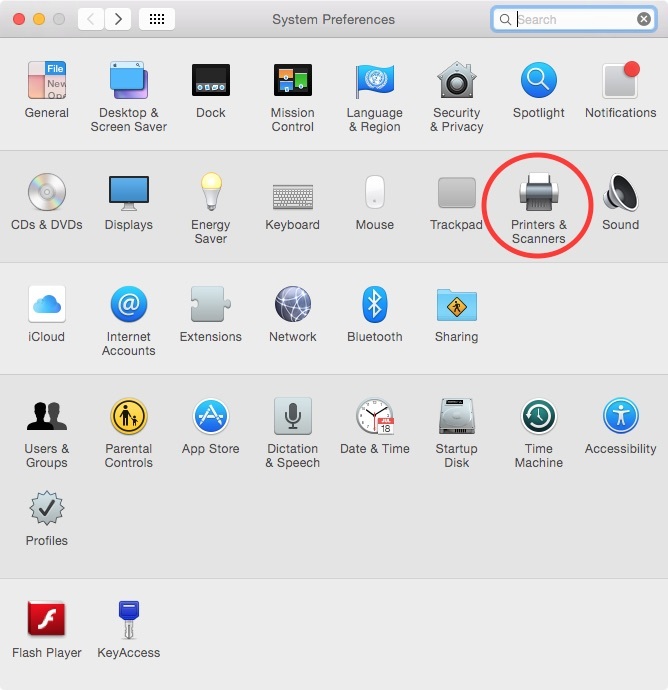 This tab will be labeled as Driver in earlier versions of OS X (see screenshot b). 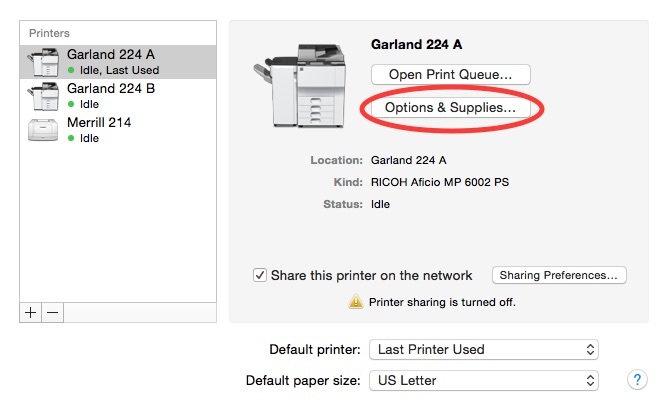 The number of installable options and format for how options are added is dependent on the printer. 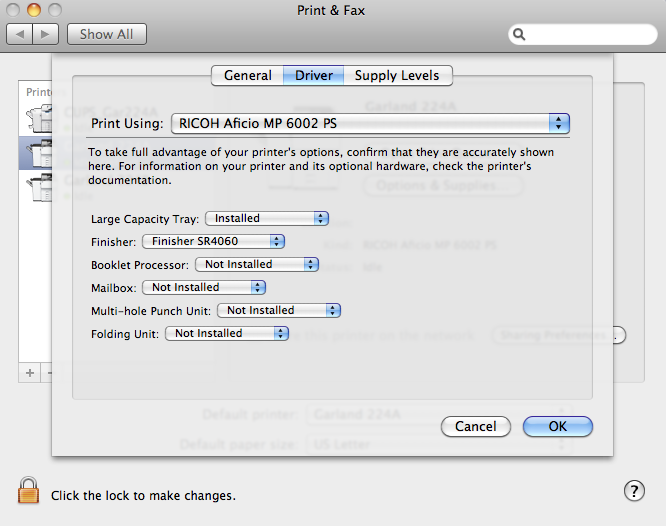 This example uses a Ricoh Multi-Function device, which uses drop downs to select the various installable options. 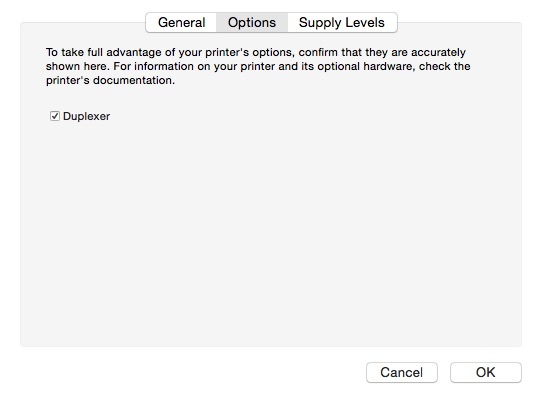 Other printers may use checkboxes to select and deselect options (see screenshot c).